"A Brief Doctrinal Statement" uses a trinitarian format, or God revealed as Father, Son, and Holy Spirit, to emphasize from a biblical perspective what is important to Christian faith and life. For a nice summary of Christian beliefs based on one of the earliest creedal formulations, see C. Donald Cole's The Apostles' Creed: All You Need to Believe (Moody Press, 1998). The very brief "Fundamental Doctrine, The Cross of Christ" (Gospel Advocate, April 1981) highlights the death of Christ as an essential basic for Christian faith and life. "Sanctification and Fellowship in the New Testament" (written originally in the mid-1980s and revised July 2014) applies the biblical concept of growing in holiness or sanctification to New Testament occurrences of koinonia or fellowship. It is argued that sanctification is a key to true Christian fellowship. "Written Revelation and Inspiration" is a brief outline of scriptures with notes that highlight the need for written revelation and the inspiration of the Bible. I think much of it was influenced by classes I took at Freed-Hardeman College (Henderson, TN) during Fall Semester 1976--"Critical Introduction to the Old Testament" by Dr. Clyde M. Woods and "Critical Introduction to the New Testament" by Dowell Flatt. 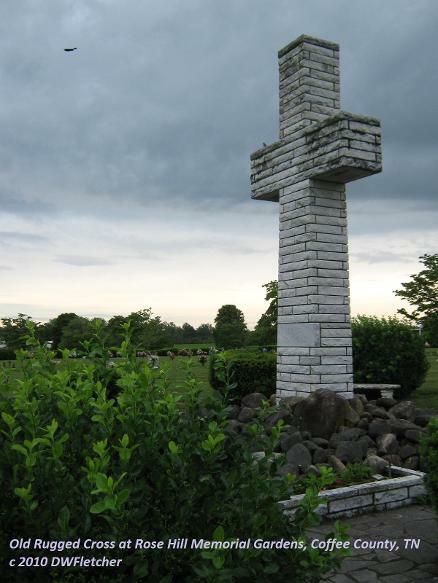 The "Old Rugged Cross" at the Rose Hill Memorial Gardens, located on Federal Highway 55 between Manchester and Tullahoma in Coffee County, Tennessee, is situated next to the "Garden of Gethsemane." "Person of Christ in the Bible" is adapted from the outline for Dr. Jack Cottrell's "Person of Christ" Course at Cincinnati Bible Seminary (Cincinnati, OH; Spring 1979), one of the best classes I took at the seminary. It provides an outline of scriptures, with minimal comments, from both Old and New Testaments that highlight the divine and human nature of Jesus theChrist. For a recent and insightful study about the person of Christ from biblical, early church (patristic), and modern viewpoints, see Veli-Matti Karkkainen, Christology: A Global Introduction (Second Edition; Baker, 2016). "God Is Your Creator, So What?" looks at Paul's sermon to philosophers at Athens (Acts 17:24-31) in light of biblical teachings about God as creator. Published in the Firm Foundation (January 1979) and revised in February 2011. "The Goodness and Severity of God" develops and harmonizes seemingly opposite attributes of God, based on Paul's writing to the Romans (chapter 11). Published in the Firm Foundartion (April 1979) and revised in February 2011. First written in November 1982 and revised in March 2011, "Is Modalism A Viable Trinitarian Concept" examines three basic fallacies of the modalistic view of the trinity. 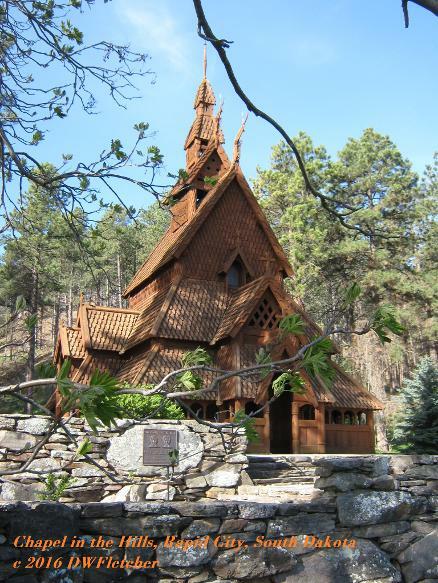 Built in the 1960s, the Chapel in the Hills of Rapid City, South Dakota, is an excellent example of a traditional Scandanavian church and an exact reproduction of the Borgund Stavkirke in Laerdal, Norway. Today, the church operates as a special ministry of the South Dakota Synod of the Evangelical Lutheran Church in America (ELCA). 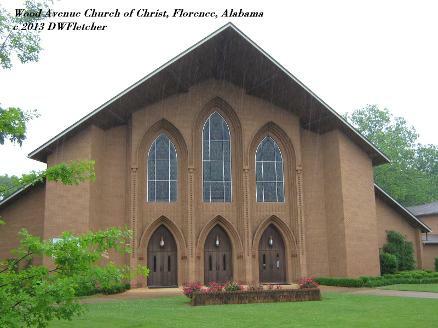 The paper on "The Meaning of Adultery in the New Testament" was discussed at a symposium of Church Of Christ preachers in Nashville, Tennessee, during the Fall of 1982. I have made a few revisions to the text, mostly grammatical, but in content by replacing the word "relationship" (that has little biblical meaning) with "union" (that seems, to me, to fit biblical concepts of marriage better). 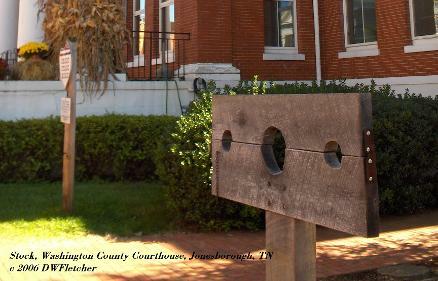 The punishment stock at the Washington County Courthouse in Jonesborough, Tennessee, was used to restrain and to publicly and visibly humiliate offenders of civil law such as adulterers. This stock has been removed and is no longer on display on the courthouse grounds. "The Second Coming of Christ--Past or Future" examines the preterist view of Christ's second advent in light of the "ambiguity" in New Testament texts about the time of the Lord's return. Published in the Gospel Advocate in August 1981, in La Vox Eterna in July-August 1982, and revised February 2011. 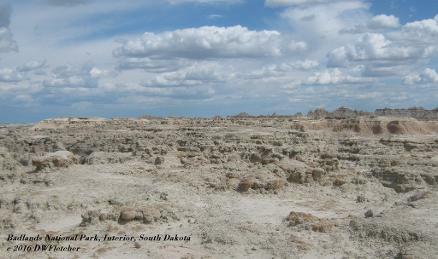 The Badlands National Park near Interior, South Dakota, showcases the rugged beauty of 244,000 acres of mixed-grass prairie and striking geologic formations as well as diverse flora and fauna. This particular day in May 2016 was a cloudy one. Clouds are associated in the New Testament with the return of Jesus (see Acts 1.9; 1 Thessalonians 4.17). "An Analysis of the Theology of Modeling" appeared in Image Magazine as "Biblical Modeling" (August 1986) and develops a philosophy of church and ministry based on the sociological phenomena of identification, observation, and reduplication. Revised February 2011. "Church Growth Principles" and "Mobilizing the Church for Crisis Intervention" suggest ideas for outreach and growth. Each includes an outline for lessons based on Paul's letter to Ephesians. "Stewardship and the Meetinghouse" [Firm Foundation (January 1981); revised November 1982 & February 2011] explores both theological foundations and practical applications for efficient use of church facilities. 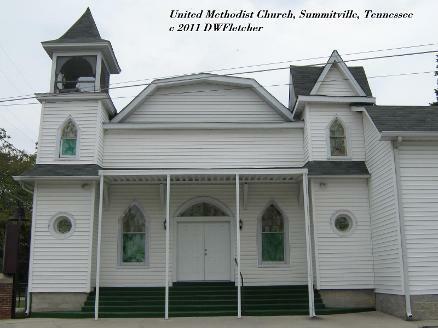 Two very different types of architecture are seen at the United Methodist Church of Summitville, Tennessee (above), and the Wood Avenue Church of Christ in Florence, Alabama (below). Both facilities have a "sanctuary" for Christian worship and very little "flexible" or multipurpose space except in the annexes. "Personal Reflections" (Fall 1985) was my attempt to argue for a Christian theistic worldview in a graduate course called "Perspectives On Religion" with Dr. Fred Clothey at the University of Pittsburgh. I tried to outline and react to the broad field of religious studies or religionswissenschaft but probably not successfully. I recall that in the course we tried for the first five weeks to define what we meant by "religion" but the seminar could come to no clear conclusion about that. The short paper could also be considered as dealing with apologetics. "Pain and Suffering: An Outline for Group Study" (Advent 2013) uses popular and more critical works to explore from a biblical perspective problems and plausible solutions to the classic and persistent challenge to theism - pain and suffering. The Edwin G. Crouch Memorial Building at Cincinnati Christian University contains the library and graduate school facilities for the school. 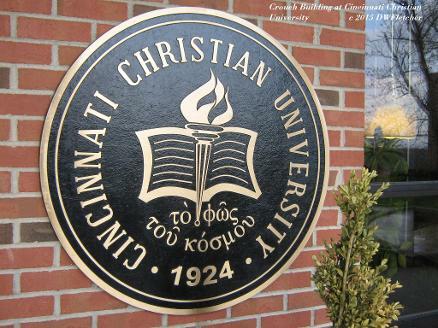 Founded by independent Christian Churches and Churches of Christ in 1924 as Cincinnati Bible College and Seminary, the university is situated on Glenway Avenue in the Western Hills of the city. The bronze plate on the building highlights in Greek the torchlight of scripture as "the light of the world."